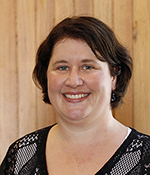 Cherie Wells has joined on with Hawker Place Physiotherapy and Pilates on a permanent part time basis and also works in the University of Canberra’s Faculty of Health as a Clinical Assistant Professor of Physiotherapy. Cherie Wells has 12+ years of experience as a physiotherapist and has obtained a Master in Manipulative Therapy at Curtin University of Technology in 2005. She is currently in her final stages of completing a PhD at the University of Western Sydney investigating the use of Pilates exercise to treat people with chronic low back pain. p>While Cherie has mostly worked in private practice, she also has been involved in teaching physiotherapy across several universities over the past 6+ years. She is currently a Clinical Assistant Professor at the University of Canberra teaching within musculoskeletal physiotherapy.